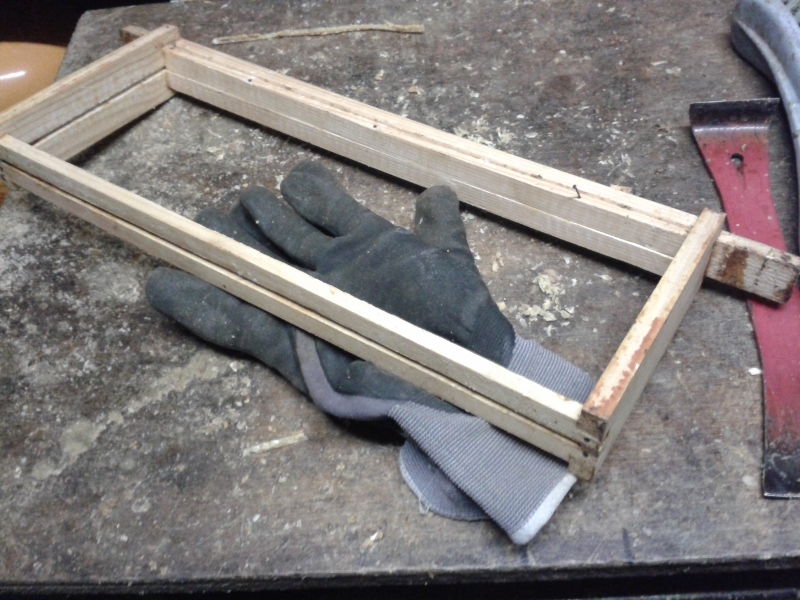 You know – it is so irritating when you’re stripping down frames and discover that they’ve been put together wrongly. It’s usually one of three mistakes – or all of them, as in this frame. First of all, don’t use panel pins – they’re too thick, they’ll split the wood and they’ll rust. 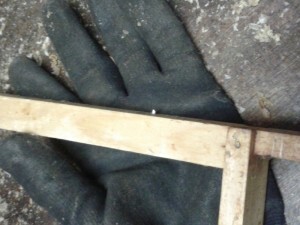 Instead use proper 10mm lacquered frame nails or gimp pins available from beekeeping suppliers. Don’t put a nail sideways through both bottom bars. Why? Because when you come to take it apart you won’t be able to remove that pin unless you chisel away at the wood so you can get hold of it with pincers. And unless you do remove that pin – it will obstruct the channel that your new sheet of wax is destined to slide into. 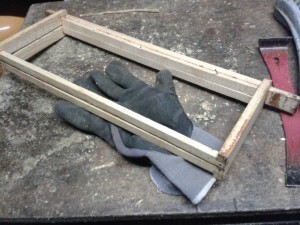 Instead nail downwards into the endgrain of the side bar and towards the top bar. The bottom bars don’t support any weight so they won’t come adrift and you can tap them out with a hammer when you need to. 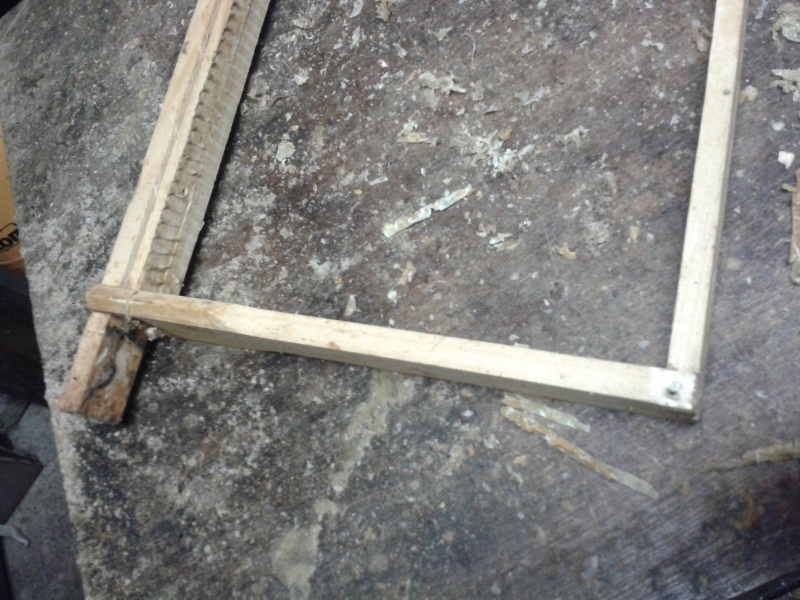 Thirdly, don’t nail straight through the wedge into the top bar – your pin will almost certainly come out the other side and every time you try to clean that top bar your hive tool will come up against the points.